If you’re a handmade jewelry designer, you have likely spent a lot of time searching for packaging that will compliment your jewelry designs. Finding the right high quality sustainable packaging for your business helps to round out an organic story for your handmade jewelry, demonstrating authenticity to discriminating eco-friendly customers. 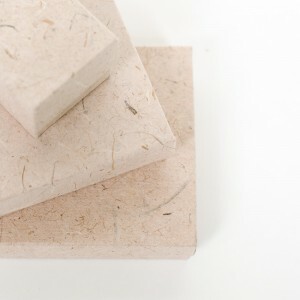 Natural paper packaging may be exactly what you’ve been searching for, and can be the perfect choice for your natural and handmade products. Natural packaging can be an ideal fit for fashionable or boho jewelry made with natural stone, gemstones, non-conflict sterling silver, non-conflict diamonds, beaded jewelry, Amber, Sea Shells, and wood. At Distant Village Packaging, we believe that beautiful jewelry needs brilliant packaging. We are a wholesale supplier of recycled and natural jewelry boxes, and custom handmade jewelry boxes. 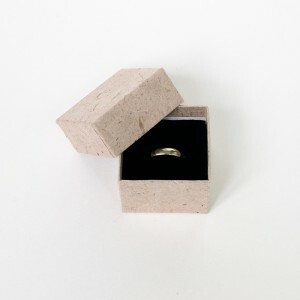 Here are a few examples of some of our newest and most innovative sustainable jewelry packaging solutions for small budgets, as well as custom jewelry box solutions. Our jewelry boxes are eco-friendly, beautiful, and most importantly: affordable for small businesses. The boxes are covered with all-natural fair trade paper that is made from Water Hyacinth, an abundant and invasive plant. Each two piece box is available in standard shapes and sizes and rigid chipboard boxes means that there is no assembly required, the boxes arrive pre-assembled and ready to go. Our natural jewelry boxes are available to purchase one case at a time (each case has 100 boxes), allowing even the smallest business to have original and naturally beautiful recycled packaging. Distant Village has a wide variety of eco-friendly jewelry box sizes to choose from. By using standard sizes you can win further with low-cost and affordable boxes, low quantities and no set-up fees or die charges. Liddle Ones, a healthcare and baby products company with locations in Australia and Oregon, focuses on healthy, natural, and eco-friendly products for babies and infants. 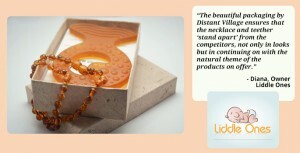 Natural plant-based packaging from Distant Village was the perfect solution for the launch of their new eco-friendly infant teething necklace product. If you sell on handmade jewelry sites such as Etsy, Novica, and Sundance, you may also need premium natural jewelry packaging supplies. Of course there are always custom sizes and shapes needed from time to time, you may even wish to have your packaging professionally designed and branded to your specifications. All of this is possible, to learn more please contact us to discuss your custom packaging needs. 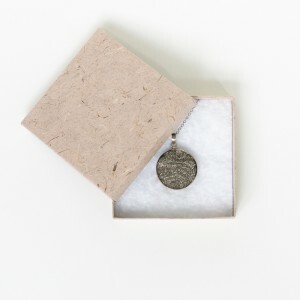 We look forward to creating amazing sustainable recycled jewelry box packaging for your business. These custom made jewelry boxes compliment these jewelry pieces. They are simple, but elegant at the same time. Making them looks easy enough, so I might have to try making some for daughters jewelry at home. wow this jewellery box is looking very beautiful I liked its design. Hi! Do these jewelry boxes come in black?